PCM has provided project/pre-construction and master planning services on several law enforcement expansions, renovations and rehabilitations projects. Master Plan Field Evaluation, Los Angeles Police Department Facility. 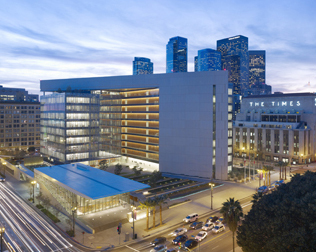 Los Angeles CAPCM assisted in the provision of cost estimates and scheduling for a 900-page, 20-Year Schedule and Master Plan that outlined the most comprehensive, long-term building program for the LAPD. The plan, developed by a multi-disciplinary team of construction and real estate industry consultants, was based on a yearlong comprehensive study of the facilities and evaluated the conditions of all existing major police facilities and determined facility needs and requirements.Valued at $1.5 billion. Completed in 1998.